The thinly-sliced, lovingly-barbecued slices of pork are the embodiment of heaven and hell – that is, heaven for your tastebuds, but hell for your physique. Regardless, it’s a quintessential part of Chinese New Year, and the significance of its presence on the snack table is so deeply imbued that there’s a sort of unspoken judgement that gets passed on families who somehow don’t have a bottle of the meat to serve their guests. Thus, the CNY period is also when the big names in bak kwa see snaking queues, and customers generously forking out cash to purchase kilograms of the meat. But as much as queuing is our national pastime, there’s no doubt that it’s really quite a tedious, time-consuming process. It is thus not much of a surprise when a report emerged, revealing that there are many instances of ‘creative’ Singapore employers making their foreign workers queue up, sometimes overnight, to buy bak kwa on their behalf. In a report by TODAY, it was mentioned that while migrant worker groups had raised concerns over this practice a few years ago, saying that it “exploits cheap labour”, the trend seems to have reared its head again. 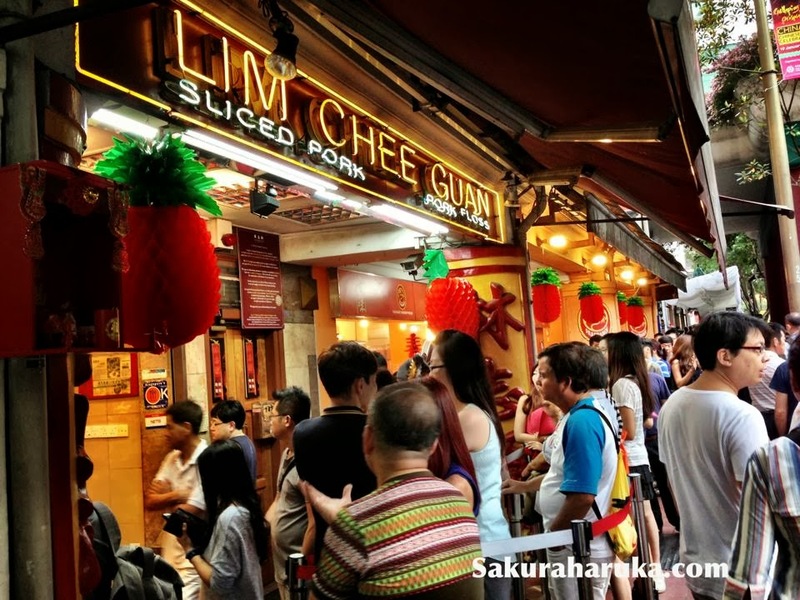 When approached, however, the workers said that they were actually “happy for the chance to make an extra buck”, with a group purchasing 70kg worth of bak kwa after queueing overnight outside a Lim Chee Guan outlet at New Bridge Road. A worker who was interviewed mentioned that he was paid $5 for each hour and had a $10 meal allowance, earning $60 for his overnight task. He also got half a day off. While the general consensus among the moonlighting workers does appear to be that it’s a good way to earn some extra cash, the matter is still a contentious one. But in other bak kwa-related news, chain Lim Chee Guan might have just gotten the ball rolling in digitising the process. 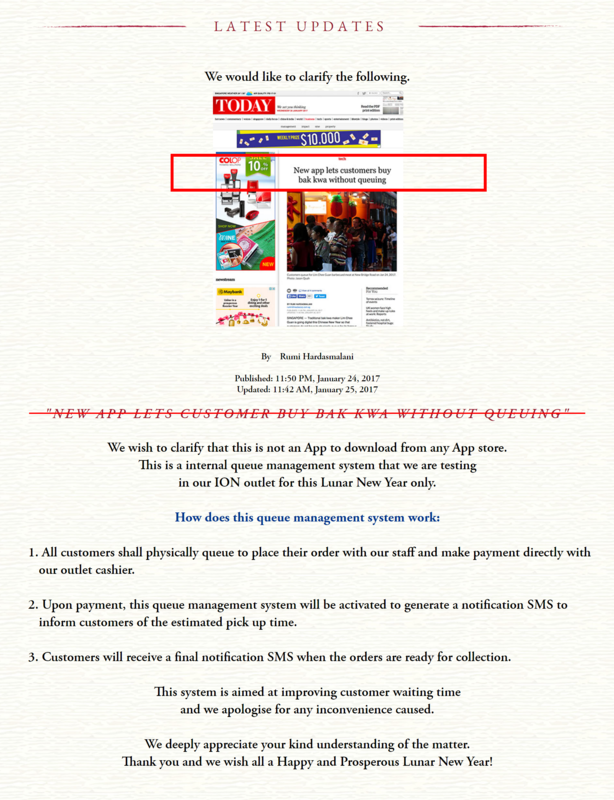 In another report by TODAY, bak kwa chain Lim Chee Guan has announced that it is “going digital” this year, and customers can now order bak kwa through their new app, which will also provide the estimated waiting time at each outlet and will send an SMS to customers on when their orders can be picked up. This service is currently only available at its ION Orchard outlet, but there are plans to roll it out to other outlets if feedback and response is good. The app was created by startup UniQLIX, and the pilot is said to last for 2 weeks. It’s uncertain if it is still ongoing. When we did quick search on the Apple and Google Play store, the app was also nowhere to be found. LaborMe was founded in 2015. So, at the moment, it’s unclear how interested customers could potentially go about trying out this new app by the company. A report on Lianhe Zaobao also only reveals a photo of the SMS notification service, and not the app per se. 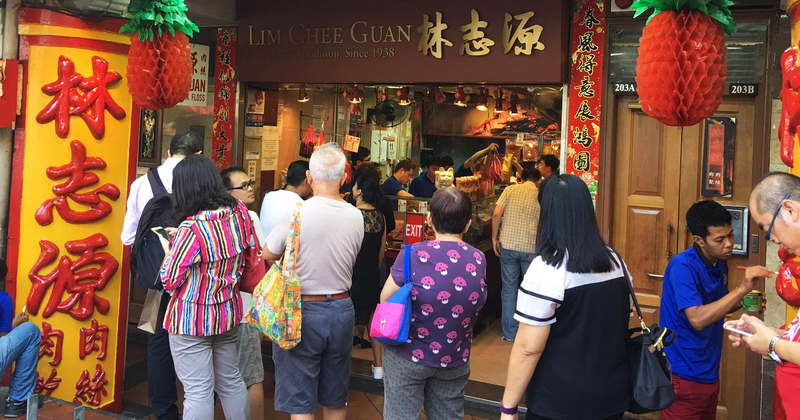 If anyone has any experience with the Lim Chee Guan app, let us know! Lim Chee Guan today has made an official announcement with regards to the purported “app” as reported by TODAY. 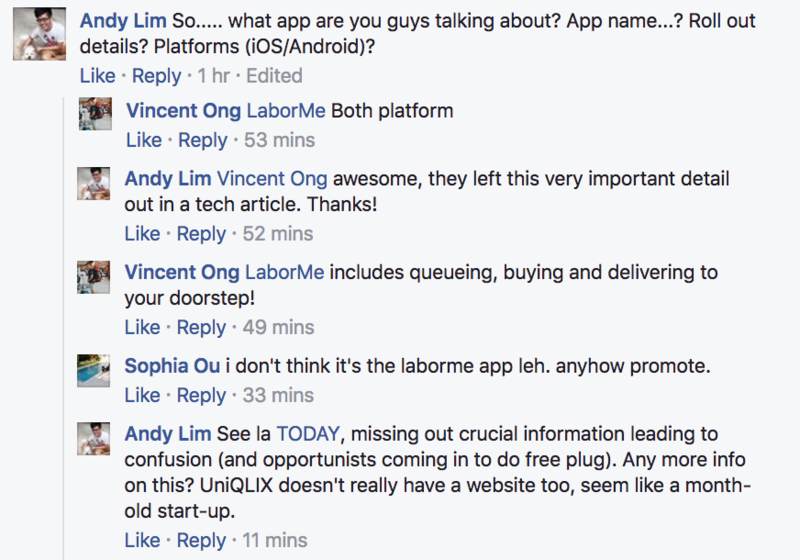 Lim Chee Guan wish to clarify that this app doesn’t exist and that it is merely an internal queue system for their outlet in ION Orchard. Read more about this press release on their website.